Okay, Friday pop-quiz (at least for those who don’t read Cyrillic). 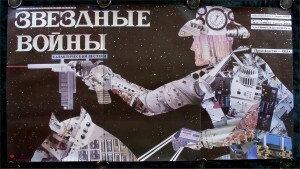 The poster pictured to the left was the Russian release poster for what American film, which finally got released in the former USSR in 1990? 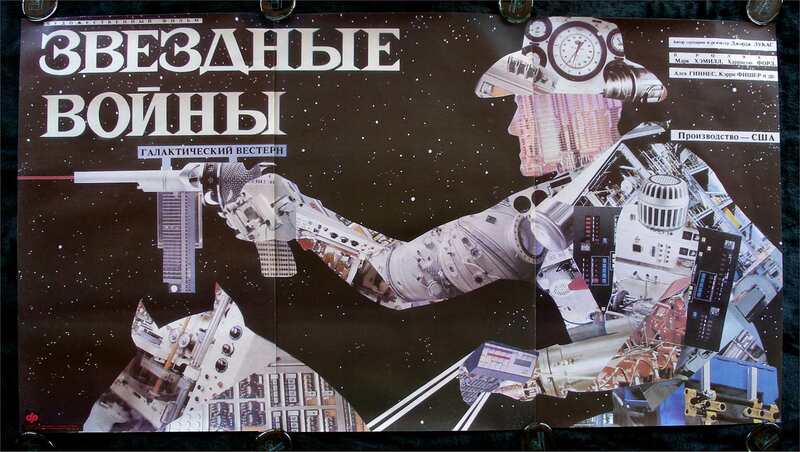 This lovely example actually just brings up the phenomenon of Eastern European movie posters. As a bit of a poster buff (I still have dreams about finding an affordable Japanese “Tron” One-Sheet) and someone who’s dabbled in poster design I actually have books of movie poster reference. Classic films, B-Movies, and glorious glorious Eastern European posters. The style common in most Eastern Europe movie posters is much more metaphorical and pop art based… which makes for amazing works, that not only speak about the interpretation of foreign themes, but also the time and place they come from. So huzzah for foreign movie posters – spend some time perusing a gallery near you for some of these fantastic works. And if you’re still stumped about the poster above, try looking here. Oh I was way off. 🙂 That dude does give off a bit of a Han Solo vibe huh?